Diabetes Predict is the genetic test on which the Diabetes Prevent programme by Patia is based. Diabetes Predict is a powerful tool for the evaluation of genetic risk from a simple DNA sample. Diabetes Predict evaluates the genetic predisposition of each person to suffering from type 2 diabetes and may lead to taking measures to prevent it in advance. Over the last decade important studies have been performed on type 2 diabetes which need to be transferred efficiently and with a real benefit to the population. Diabetes Predict has been developed with this aim. The SIGMA initiative of the Carlos Slim Foundation, the Broad Institute, associated with the MIT and Harvard University. These studies include more than 110,000 diabetic and non-diabetic people of different ethnicities: Caucasian European, Amerindian, Asian and African. 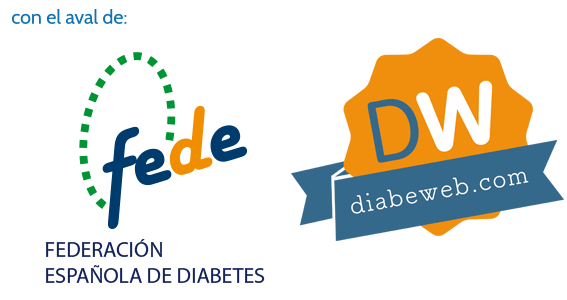 In this process, Patia, in collaboration with the scientists and doctors of the SIGMA project, selected the genetic variants associated with the type 2 diabetes that Diabetes Predict analyses. What are the characteristics of Diabetes Predict? It is a high-performance genotyping tool for the evaluation of the genetic risk of type 2 diabetes. It allows for the evaluation of the genetic risk in multi-ethnic populations, including individuals with Caucasian, Latin American, African and Asian ancestry. It allows for the simultaneous analysis of hundreds of clinical samples, optimising the process and minimizing cost. What use is the Diabetes Predict genetic risk test? The test identifies which people have an elevated genetic risk of developing type 2 diabetes. This test is an extra motivation to implement and stick to the intervention measures in habits and behaviours: changes in diet, physical exercise and lifestyle. It permits the analysis of the members of a family, thus facilitating early intervention. What does Diabetes Predict analyse? Diabetes Predict is a personalised test for the evaluation of genetic risk of type 2 diabetes which analyses the genetic variants with the greatest association to this type of diabetes in multi-ethnic populations. What are the reasons for its use or medical application? Diabetes Predict is a fast and reliable tool to evaluate the specific genetic predisposition of the person to type 2 diabetes. Its use is helpful to motivate the implementation of measures to prevent or delay the onset of type 2 diabetes. Diabetes Predict can help children and adults who have not been diagnosed with diabetes, who are overweight or have a family history of type 2 diabetes mellitus. Diabetes Predict can also help people who have already been diagnosed with diabetes, to evaluate the genetic predisposition of their family members. All you need is a DNA sample for the test. Patia has developed an analysis platform starting from a simple and painless sample of epithelial cells from the buccal mucosa. Diabetes Predict can also be carried out from a blood sample. Nat Genet. 2014; 46(3): 234–244. Nat Genet. 2012; 44(9): 981-990. Knowing it is vital to modify those habits which can cause its development. I am a health professional and want to know more about Diabetes Prevent.